The following is the information about files, folders and processes after Advanced Mac Cleaner is installed. With this information in hand we can now manually uninstall Advanced Mac Cleaner completely. Simply dragging Advanced Mac Cleaner to Trash cannot uninstall it completely to free disk space on Mac OS but leave a lot of remnant files. How to manually remove Advanced Mac Cleaner completely? 8.1> Start Activity Monitor. Select the process name “Advanced Mac Cleaner” and hit the “Force Quit” button. 8.2> Open Applications folder. 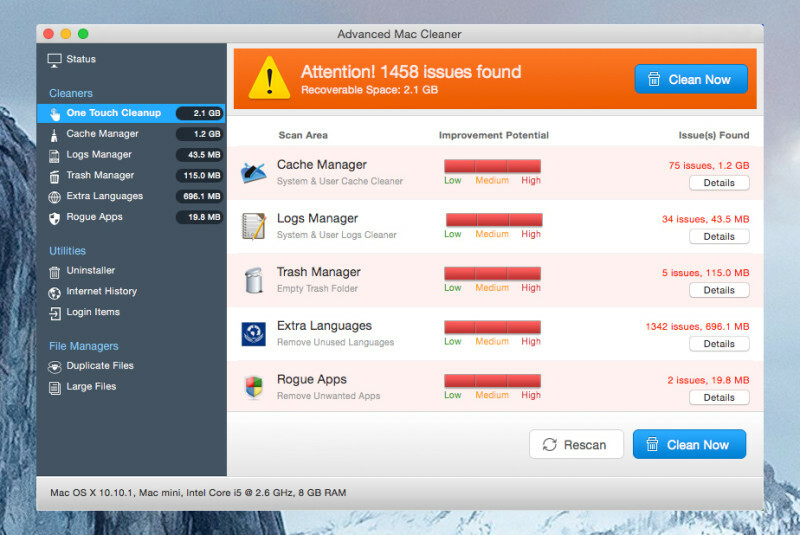 Find “Advanced Mac Cleaner” and drag it to Trash. 8.3> Open Finder or Spotlight. Search for Advanced Mac Cleaner files and folders and delete them. How to automaticlly remove Advanced Mac Cleaner ? 9.2> Launch the MacRemover, highlight the icon of Advanced Mac Cleaner and then click “Run Analysis”, which will scan out all the traces of the unwanted application automatically. How To Remove Kodi on macOS(Mac OS X)? How to completely remove Mac Adware Cleaner on macOS and Mac OS X?